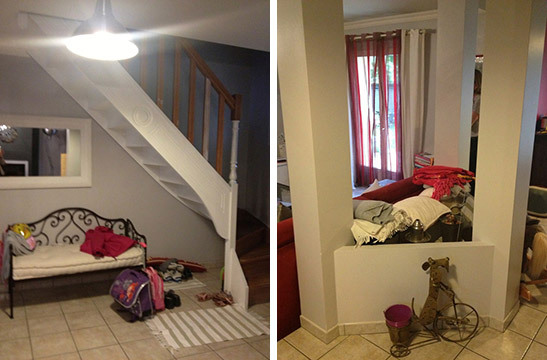 Transformation of an entrance hall. Ongoing project. 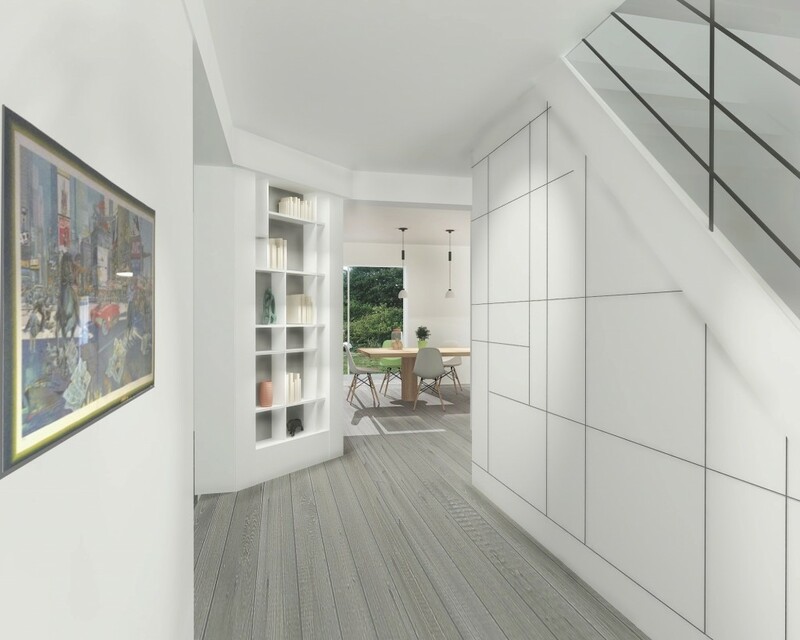 Our clients gave us the mission to redesign their house with a key challenge being to optimize the space planning of the entrance hall. The constraint was an open triangle formed by structure pilars separating the entrance and the living room, and that was sort of a «no mans land». Overall there was a need for storage. Built into the structure pilars we’ve designed a triangular bookshelf with niches and lighting. A large bespoke cupboard was built under the staircase.